New York's Magnolia Bakery, often credited with starting the cupcake craze, will open a D.C. outpost at Union Station Sept. 10. WASHINGTON — New York’s Magnolia Bakery, often credited with starting the cupcake craze, will open a D.C. outpost at Union Station Sept. 10. Magnolia Bakery opened its first location in Manhattan’s West Village in 1996. The company was bought in 2007 by its current owners, Steve and Tyra Abrams, who have expanded the bakery to locations in Boston, Chicago and Los Angeles and globally in Mexico, South Korea and the Middle East. It is also planning stores in Manila and Sao Paulo, and sells its baked goods nationwide online. Magnolia Bakery’s Union Station store will feature its cupcakes, as well as other customer favorites including banana pudding with vanilla wafer and fresh bananas, red velvet cake, key lime cheesecake and sea salt caramel cookies. As Business Insider recalls it, cast characters Carrie and Miranda in a 2000 episode gabbed over cupcakes in front of the Magnolia Bakery’s West Village location in one scene. Tourists began showing up shortly after the episode aired. 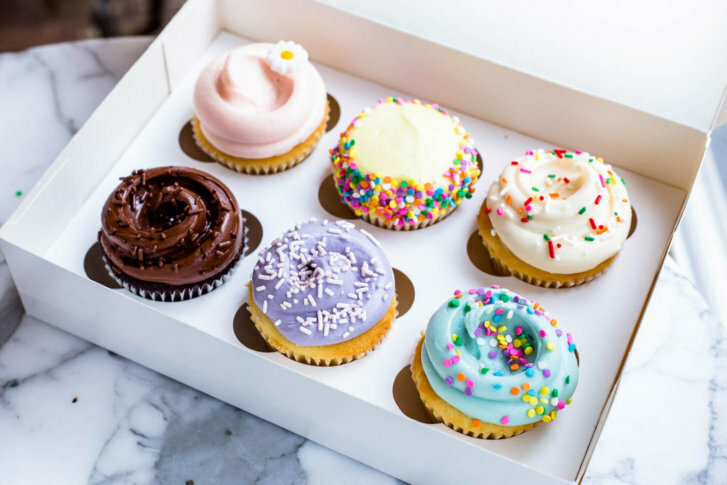 Other early players in the rise of high-end cupcakes garnering credit for the craze have included Crumbs Bakeshop, Sprinkles and Georgetown Cupcake.